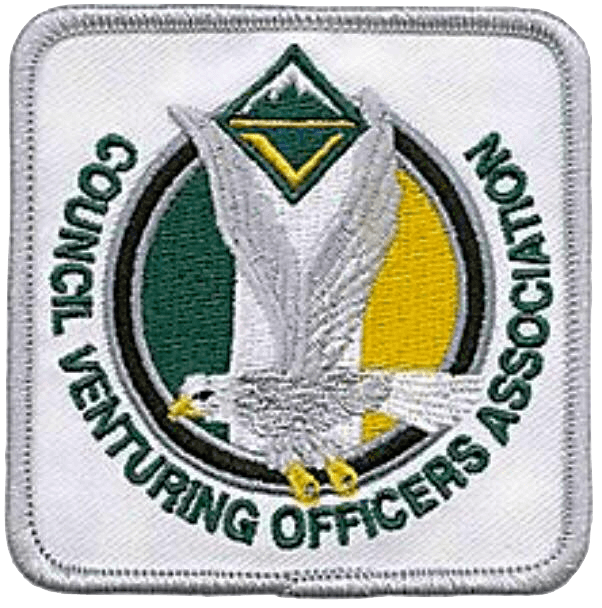 The Venturing Officers' Association, or VOA, is the council level group which supports and leads the Venturing program in the Blue Grass Council. Just like a crew, the VOA is led by a group of youth officers and advised by several capable advisors who help position the youth for success. The VOA also includes all Crew Presidents and Crew Advisors, in addition to several subsidiary youth members and their advisors. Since Venturing is a youth-led program, the leadership structure above the unit is also youth-inspired and youth-led. The VOA's youth officers work together to support crews within the council, organize program events to bring Venturers from across the council together, and represent youth to the council. VOA members they work together with Venturers and community members to help start new crews and improve existing crews. Being a member of the VOA allows youth to gain leadership experience, enhance communication skills, and practice planning and running events on a large scale. All youth Venturers are eligible to hold a VOA position, and many adults serve as advisors to the VOA. The VOA is also supported by the Council Venturing Committee and the corps of Venturing Crew Commissioners, two other groups of adults which help the VOA succeed. The VOA works as an integral part of the Blue Grass Council, spearheading its program for older youth. For more information or to contact them, visit the Blue Grass Council VOA website.